Lavender crystal wire wrapped stretch bracelet. This wrap bracelet is 22 inches in length. The cross and leather charm are approximately 1/2 in in size. This bracelet can also be worn as a necklace as well. It is the perfect go to piece in a pretty shade of purple. 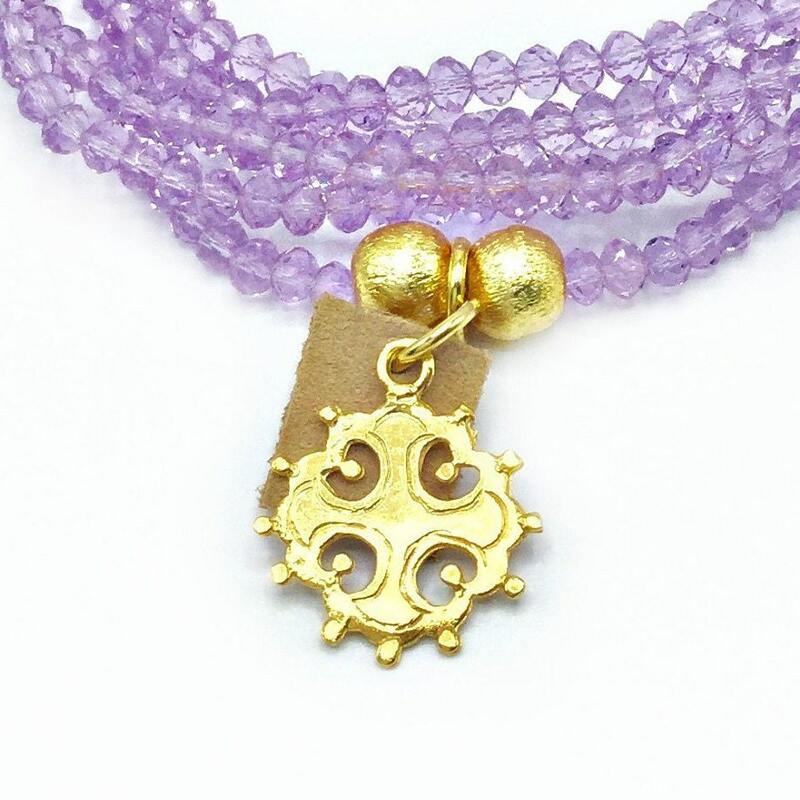 This bracelet/necklace is ideal for spring or summer outings.